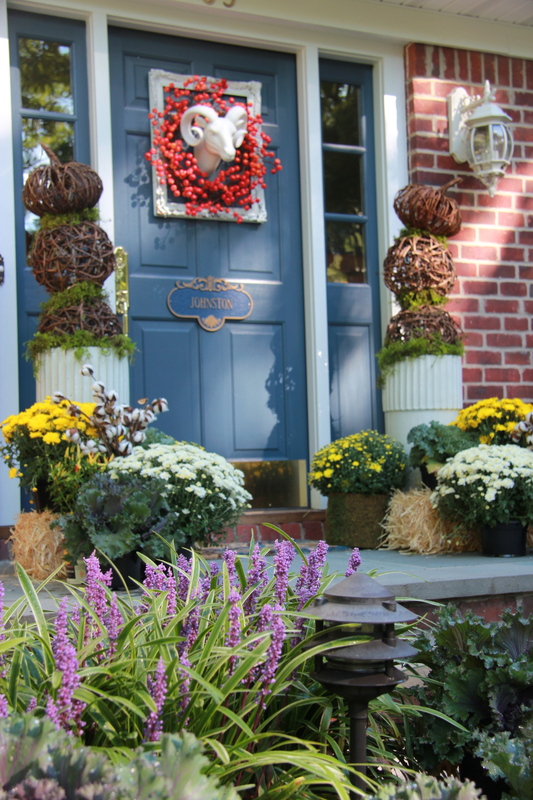 Usually, fall decorating brings to mind leaves, pumpkins, and earthy tones. But this season I wanted my front door to reflect the inside of my home and my aesthetic – rather than decorating with fall colors, I wanted to use a fresh, cool palette. With that said, I decided to go with tall white ceramic planters, which I use year round, to begin my design. 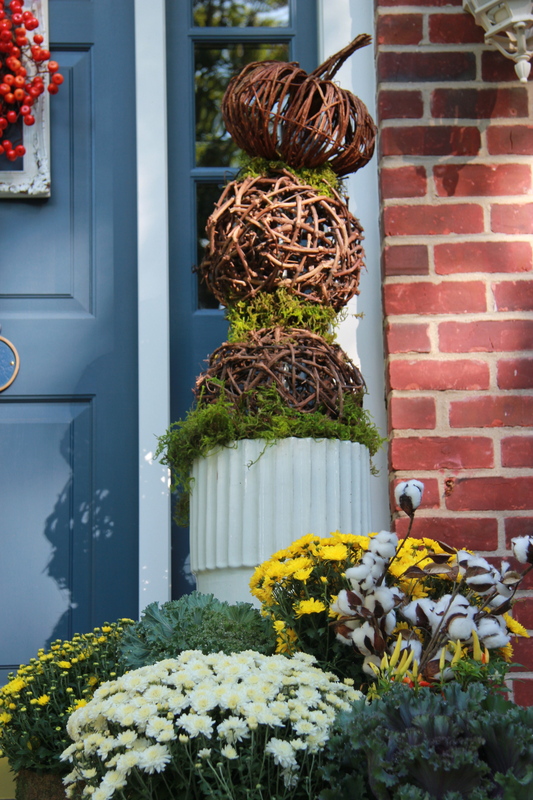 Inside the planters I used grapevine orbs which I stacked on top of each other forming a topiary effect. The top of the piece is a grapevine pumpkin. I layered green moss between the 3 pieces. 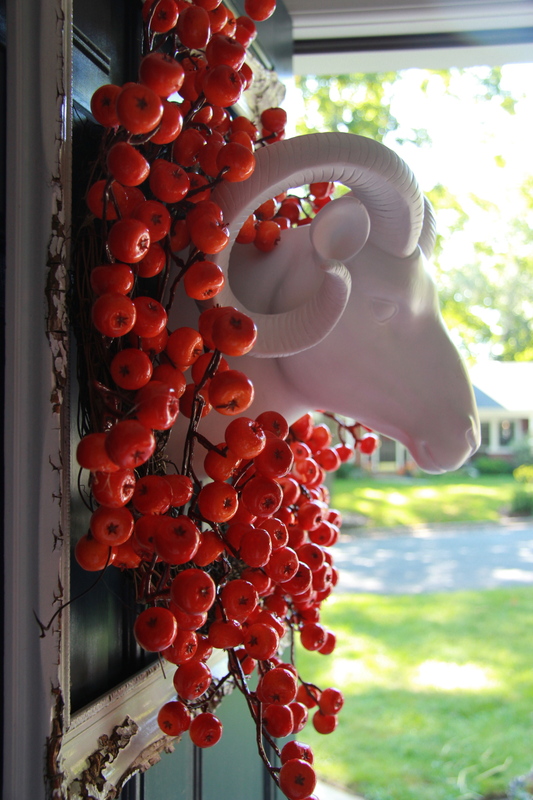 On my front door I hung a white rams head, framed it in a very old white painted picture frame, and then put a tangerine orange wreath around its neck. I like the tangerine orange color rather than the muddy, rusty oranges which keeps everything fresher. 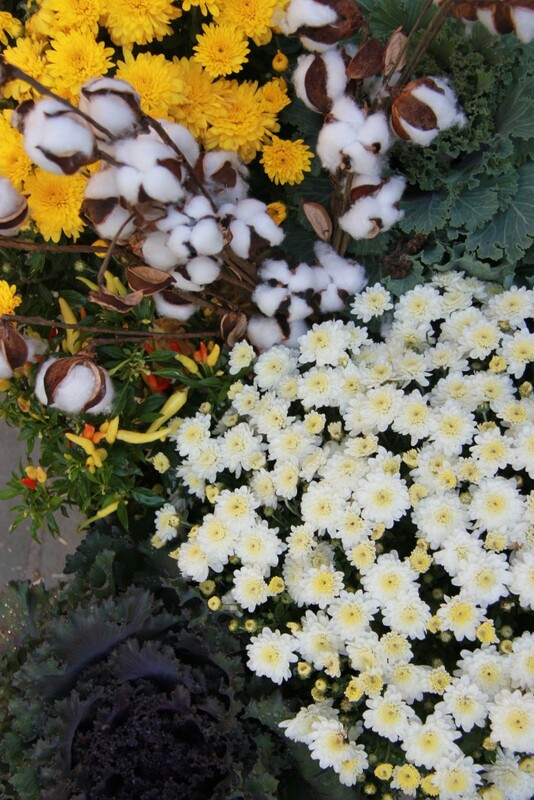 I finished my doorstep up with White Mums, Yellow Mums, ornamental peppers and cabbage plants. I am from the deep south and the fall season brings memories of the beginning of Hunting Season which I always hated because the deer are so beautiful. With that said, I love the idea of the fake Mounted Rams Head – much better than the real thing! 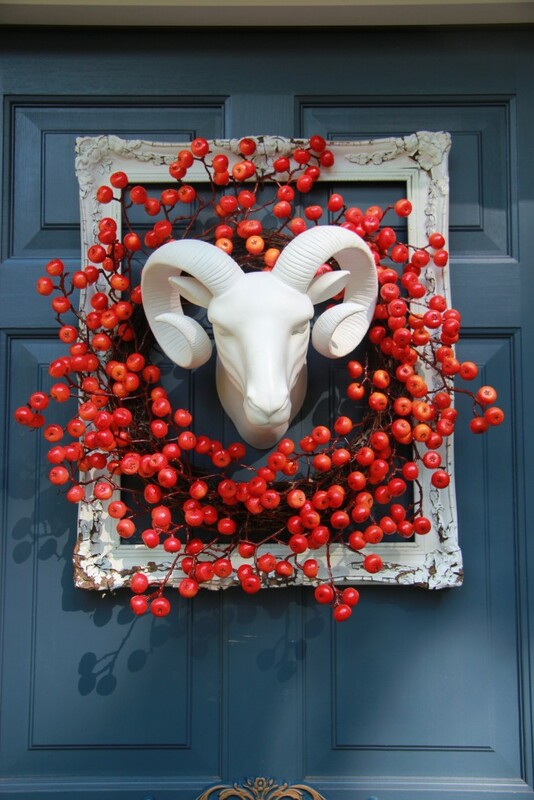 These are very popular in Interior Design right now and you can find fabric, wood, plaster of paris, ceramic, and other decorative animal heads everywhere. 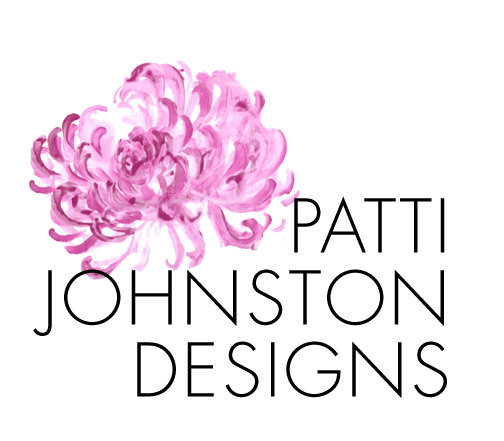 The Fall Season also means seeing the beautiful white cotton growing in the fields in South Georgia, where I am from, so of course I had to use the white cotton stems in my design as well. 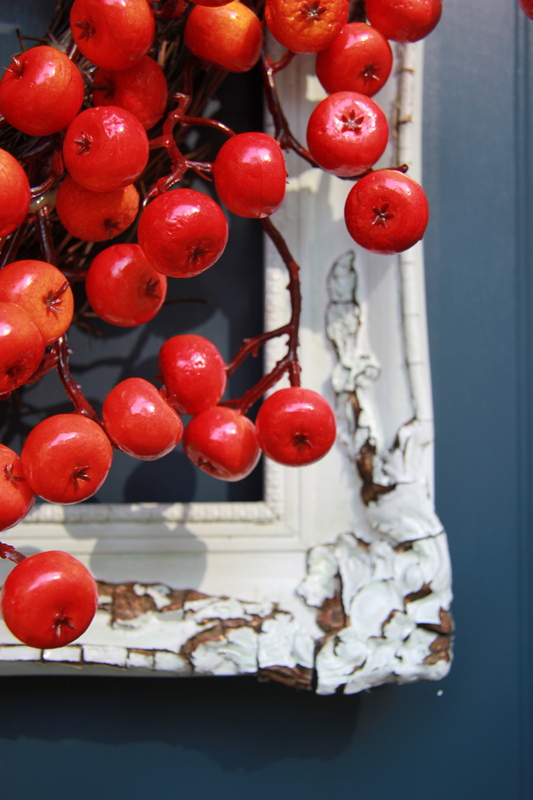 I asked my 3 year old granddaughter what she thought of this front door decor. She said, “It’s funky!” I thought so too. Sources: Michaels for the cotton stems and green moss. Fort Hill Nursery and Home Depot for the plants. 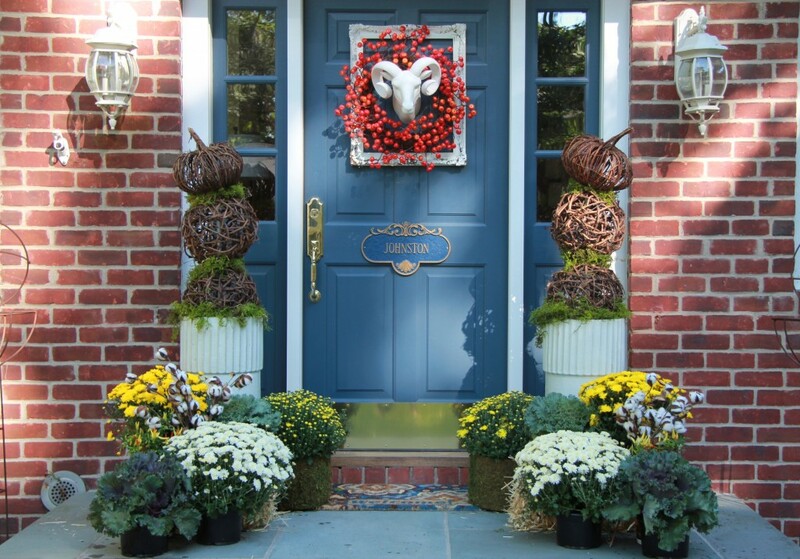 Homegoods for the Rams Head and Wreath as well as the Orbs and Grapevine Pumpkins. 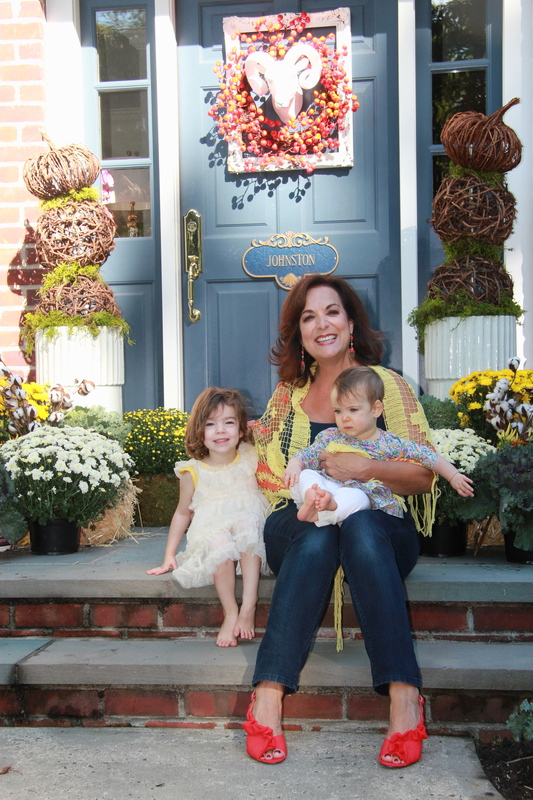 White Frame and Planters are from Patti Johnston Designs.